Once you start wearing Axxess shirts to the club, it will be hard for you to wear anything less. 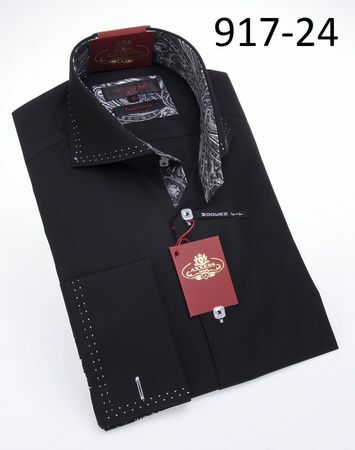 Axxess shirts are made in Turkey and made of the finest cotton fabric that is luxurious to the touch. This black with white stitch collar shirt features that high collar button down style in a modern fit and a perfect example of what Axxess shirts are all about.